Have you got indoor cats that you would like to experience the outdoors for or outdoor cats that should get a safer environment to be in? Do you want to reduce the amount of bird kills by your cats? 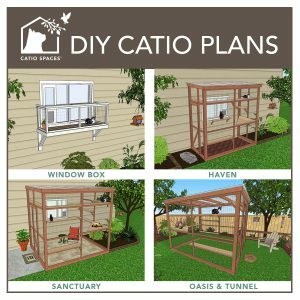 Than you should consider to build a catio! We got some indoor cats that have never been able to go outside and we got outdoor cats that should get a safer area for when we are going away from home for a while. The solution? 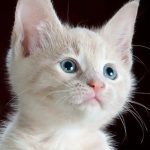 We will build a catio to keep the indoor cats safely in an outside environment, while still allowing the outdoor cats to get outside of it all at certain times. Generally we would like them all to be able to enjoy the outdoors without being in harm of predators, cars and the elements of nature. Although Tiger and Tabby are often outside even when we are gone, we would prefer to have them to be able to return to a safe home base, with plenty of inside and outside opportunities, without other cats interfering. There are of course positive and negative sides to having a catio. The advantages outweigh the eventual disadvantages and in most cases there are also solutions to the small problems. We have rather a lot of room in our garden and so we will dedicate a bit larger amount of room for the catio on the side of the house. We have already installed two cat doors in the house so that the cats can gain access to the catio in the near future. 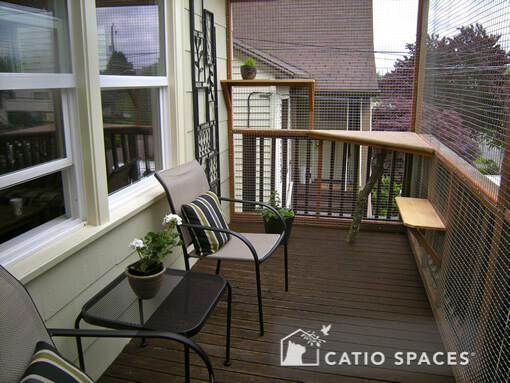 There are a couple of different ways to attach a catio to your house, depending on your living situation. 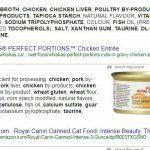 There are plans for building this type of structure, there are companies that do it for you and there are plenty of ideas on the internet of others building a catio for themselves. If you happen to live in an apartment on the second floor, you won’t have an opportunity to build your catio in a garden. There are luckily blue prints for building a catio that attaches to your window available. This of course means that you need building permission to attach something to your window / side of the building. The biggest problem with something attached to a window is that if that same window is an escape route, its a bad idea to build a catio there. The second problem is that it will work on any building that is below 3-4 floors. It is going to be hard to add a window attachment on a skyscraper. Alternatively to the window story, you perhaps have a balcony that you could give some multipurpose life by adding covers on all sides that prevent your cat from getting away to neighbouring balconies or fall off. You probably have to count on a similar building permission story as well as the possibility that your balcony is part of your fire escape plan. If you happen to have an apartment on ground level and have a garden, but don’t have the biggest garden or prefer to have a minimal area for your cats, you could build the catio directly attached to the door or window that exits towards your garden. It will provide an extra area for your cats, but doesn’t directly invade your (small) garden. Garden placed catio’s generally come in all sizes. They also come with tunnels that could make a safe route for your cats from your window or cat door to the dedicated catio area for your cats somewhat further away from your house. We are considering using this type of design, because our bedroom fire escape window is directly above the planned catio area. By moving the catio further away from the house, the cats will need to go through a tunnel to reach the catio area. While some buy a catio plan online to build it with and yet some let a carpenter build their catio, a lot of people build their own catio. We have chosen to let a professional carpenter do the job, because we got strong cold winters and a mountainous garden. In other words, we need a strong structure with a proper leveled base that will stand the storms and weather. Have you got a catio for your cats or are you considering it? Please share below!